Oakcorp’s Gold Class Fleet has every entertainment transportation requirement covered. Oakcorp’s large range of size and variety of luxury car hire make it simple to choose the right vehicle that suits your needs. Our vast knowledge of South East Queensland enables our Friendly and Professional Chauffeurs to get you where you need to go in a relaxed environment. When needing a quality chauffeur car service for a special event, consider one of Oakcorp’s large range of modern luxury Super Stretches, the newest category available in the transport industry. The excellent vehicle quality, size and our attention to detail, make these vehicles a cut above the standard limousine. 1. 16 seat Hummer – 3 LCD Screens – Fabulousup to date Sound Lighting – Fully Air-conditioned – DVD Player – Champagne Glasses (16 passengers in back). 2. 14 seat Ford Territory – Extra Large LCD Screen – DVD Player – Champagne Glasses – Fully Air-conditioned – with Multi Doors for easy access – (14 passengers in back). 3. 13 seat Ford FG G6E – Multi Door – Fully Air-conditioned – latest Sound System – LCD Screen – and Champagne Glasses – (12 passengers in back). 4. 11 seat Ford BA – Multi Doors – Fully Air-conditioned – Champagne Glasses – Large LCD Screen – DVD Player – Lighting – (10 passengers in back). 5. 4 seat Holden Statesman WM – White Outside with Black Leather Interior – Air-conditioned – (4passengers). 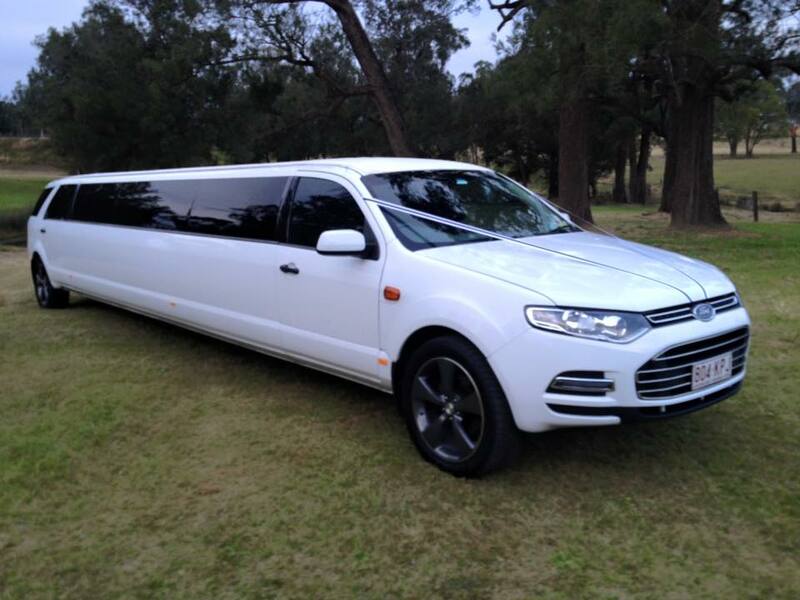 All vehicles are white with black leather interiors and are ideal for – Corporate Functions – Formals – Weddings – Music Festivals – Theatre – Hens Nights – Race Days – Romance Days – You name it we can do it. The experts in personalised transportation. Enquire early to avoid disappointment.